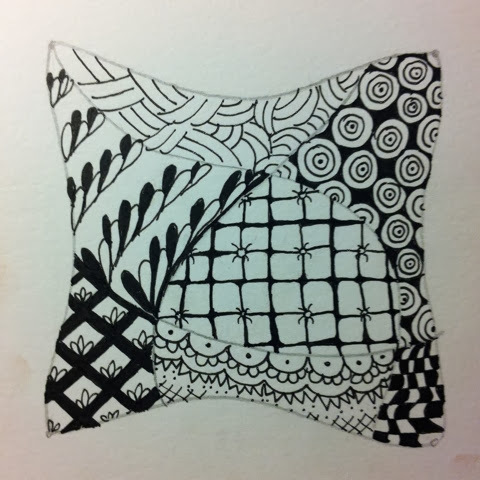 I haven't played with Zentangle® for awhile. In a recent art supply hunt I discovered Strathmore Artist Tiles. They looked like an easy way to reincorporate Zentangle® into my creating, so I ordered some. They arrived today, and I celebrated by tangling!